In order to determine how to get rid of nail ridges, one must first diagnose the type of ridges. Are they vertical or horizontal? This answer is the first step into combatting these ridges. If you’re dealing with horizontal ridges, it is advised that you consult your doctor. This could be a sign of something much more serious, such as diabetes, thyroid disease or iron deficiency – just to name a few. However, this also could be a sign of damage to your cuticle or nail matrix. And this may only affect one nail, or perhaps, a few. If this is the case, and you are sure you don’t have an underlying health issue, you will want to jump ahead and follow the treatment plan we have laid out for vertical nail ridges. Specifically, the usage of oil and deep conditioning lotion. We do want stress that you must rule out any health issues first. If it is an underlying health issue, all the moisturizing in the world is not going to get rid of the nail ridges. If you’re dealing with vertical nail ridges, there are ways we can help you treat this. Vertical ridges are pretty common and can be a sign of aging and slower cell turnover. They can also be heredity, weather-related, a result of a poor diet and lack of nutrition or from everyday abuse such as over-washing. The good news about vertical nail ridges is they are treatable. However, if they are age-related or hereditary, nail ridges are more difficult to erase. And in some cases, they may not go away. Although, they can be minimized. Before we get started on the ultimate treatment plan, there are ways you can temporarily get rid of nail ridges. You will want to begin by gently buffing the top of your nails and be sure to buff in one direction. If you have deep ridges, use a coarse buffer. Whatever you do, do not use a file as this will thin the nails. It can also cause cracks, or even worse, holes in your nail. And, this is extremely painful. Once you’re done buffing, use a polisher and buff to a high shine. Then, finish with a ridge filler polish. Not only will this fill in the ridges, it will leave a nice, smooth base for a top coat. This will get you through the next coming weeks while you focus on a long term fix. It is said that nothing good comes easy. Well, the same can be said for reversing nail damage. This will take time and it will take effort, but the results will pay off. As we stated before, there are many reasons for vertical nail ridges. And, it’s hard to pinpoint one cause over another. Unless, of course, it’s due to trauma, aging or is hereditary in nature. However, any reason for vertical nail ridges is a good candidate for this long term fix. And, the majority of what you’ll be doing for this fix is what we should all be doing anyway. Such as, eating healthy and making sure we have our daily dose of vitamins. We will start with a bit of background so you understand where we are coming from. We’ve suffered from nail ridges. Mainly due to trauma, aging and hereditary factors. After years and years of hiding our nails and trying everything under the sun, we finally found a long-term fix for vertical nail ridges. And, when we say we’ve tried everything, we mean everything! From oils to aloe vera to even first aid ointment. And sometimes our nails would straighten out, but only temporarily. Since we started this site, we’ve been able to test a multitude of products and have learned so much about our health and how all of this effects us. And we thought, if we can heal our bodies with these various nutrients, then we can figure out how to get rid of nail ridges. And, consequently, we were able to come up with a combination of products that took our nail ridges away. One of the products came at us by pure coincidence, while another took more research and understanding. And, one of the products worked so well, we didn’t think twice about adding it into the mix. Not too long ago, we did an article on the best hand cream for dry cracked hands. After testing out the products, we found an absolute winner. 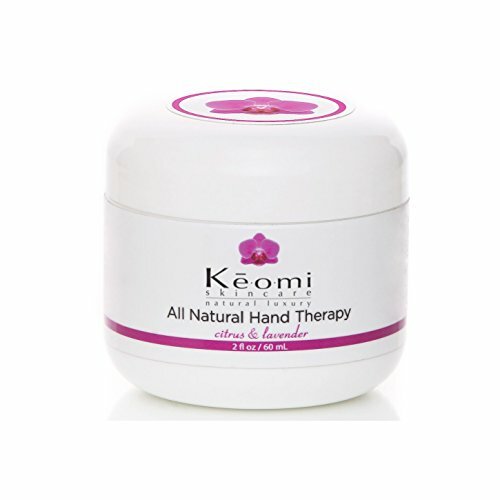 Keomi All Natural Hand Therapy is so amazing, that we even use it on our face. However, what we noticed was, this particular lotion softened our cuticles like no other. It was immediately healing and transformed our cuticles with even the first application. Then, we started putting Castor oil on our cuticles every night. If you’re not familiar with Castor oil, it’s an extremely thick oil that has a multitude of benefits. From hair, to skin, to even relieving joint pain. Now, Castor oil is quite a bit thicker than other oils. Therefore, it stayed on our cuticles for a longer period of time – allowing our cuticles to absorb it for hours after application. On the other hand, when using other oils, the absorption rate was faster and thus, disappeared quicker. Leaving our cuticles and our nails without the much-needed continuing moisture. So, not only does Castor oil last a long time, Castor oil is one of the more potent and healing oils available. And, when you combine the healing benefits with the consistency of Castor oil, your nails will be reaping the benefits. 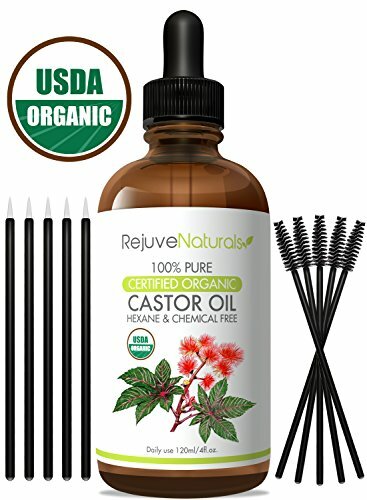 RejuveNaturals Castor Oil is a great product of if you are looking for an organic product. Our final step on how to get rid of nail ridges is the nutrient factor. And not only the nutrient factor but, more specifically, the collagen factor. Approximately 30% of the protein in our body is made up of collagen. And, when you digest collagen, your body turns it into amino acids – which then helps support collagen production in your skin, hair, nails, bones and joints. Now, this is very important because when we age, our collagen production slows down and consequently, we start losing collagen. We like to use the water scenario to help explain this further. When our body is dehydrated, we replenish it with water. So, if we are lacking in collagen, it only makes sense to feed it with collagen, right? 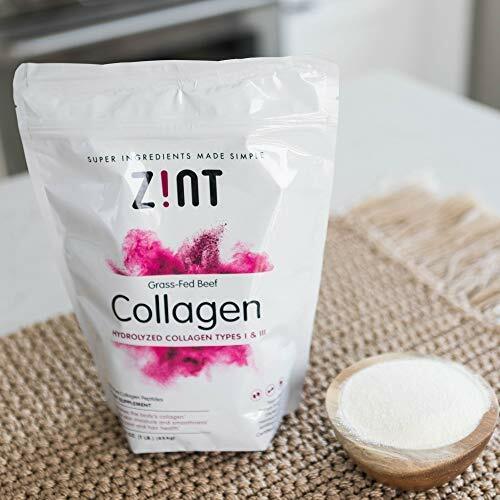 Zint Collagen Powder is an excellent supplement if you are looking for one. The major component of our nails is collagen. And collagen is the fabric that keeps our skin together. If we see our nails wither away, it’s a fairly good sign that we are lacking in collagen. And, because our skin feeds our nails, we can assume that the skin isn’t delivering enough collagen to our nails. So, the final and most crucial step on how to get rid of nail ridges is adding collagen to our diet. And that is what we did and how we were able to see improvement over the course of a couple of months. And not only has it helped reduce the ridges, our nails have grown stronger and faster with continuing use. There is no cure for nail ridges, only upkeep and maintenance. And, because nail ridges only get worse with aging, upkeep is absolutely necessary. However, with the enormous benefits of the Keomi Hand Therapy, Rejuve Castor Oil and the Zint Collagen Powder, we don’t see this upkeep as some sort of chore. We see it as beautifying ourselves in a multitude of ways, even beyond those stubborn nail ridges.